Lucy Winfield, Servant, F, Black, 36, sng, VA/VA/VA, Servant/Private Family. Elizabeth. Culpepper, Daughter, F, Wh, 3, sng, VA.
Obituary* 22 Aug 1997� Jean Culpepper Holland, 71, died Aug. 21, 1997. A native of Suffolk, she was the daughter of the late Frank and Bessie Marks Culpepper. Mrs. Holland was a member of the Windsor Congregational Christian Church and a devoted and loving wife and mother. Survivors include her husband, Richard J. Holland; a daughter and son-in-law, Shirley H. and Timothy S. Wright of Chesapeake; two sons and their wives, Richard J. Jr. and Cynthia B. Holland of Windsor, Gregory F. and Patricia D. Holland of Richmond; two sisters, Georgia Saunders of Suffolk, Betty Allen of Norristown, Pa; brother, Sullie Culpepper of Salisbury, Md; 11 grandchildren and a great-grandchild. .
Obituary of Jean Culpepper Holland (#40055), published 22 Aug 1997. Richard Joyner Holland, a longtime state senator, small-town banker and member of a prominent Southside Democratic family, died early Sunday at his home in Windsor, family members said. He was 74.
incumbent J. Lewis Rawls Jr. in a Democratic primary. He was serving his sixth term when he died. Mr. Holland, D-Isle of Wight, had been in declining health during the past year. His successful fall re-election campaign against Republican T.C. "Tommy" Wright Jr. got off to a late start because he was being treated for cancer. He also missed a hefty portion of the 2000 General Assembly because of a bile-duct infection that he said at the time probably was related to his cancer battle, but not a recurrence. And earlier in 1999, he broke a hip and ankle in an accident. But Mr. Holland - looking gaunt and frail - was on hand for the closing days of the session and was greeted with a standing ovation from his colleagues. Sen. Henry L. Marsh III, D-Richmond said, "This last re- election, when he was overcoming illness and other problems, he showed so much fight and determination, he was amazing." A special election will be held to choose a successor to Mr. Holland. Mr. Holland was a member of a prominent Southside political family and followed his father, the late Del. Shirley Holland, to the General Assembly. His brother, Clarence A. Holland, a Virginia Beach Democrat, also served in the state Senate. The two were desk mates until Clarence Holland's defeat in 1995. A conservative Democrat, Mr. Holland nonetheless was an outspoken critic of Allen and Gilmore administration tax cuts that, he said, wrongly stripped local governments - especially in poorer rural districts such of his - of much-needed income. He was unsparing in his opposition to efforts to eliminate the business-licensing tax as well as the car tax. His career was singed by controversy, most notably federal bank- fraud charges, but the case against Holland and his son Richard J. Holland Jr. was thrown out by a judge who ordered the federal government to pay most of the Hollands' legal fees. The case grew out of a 1991 dispute between the Hollands and the FDIC over banking practices. FDIC officials became convinced that the Hollands, through Farmers Bank in Windsor, were making illegal loans in 1991 to a Suffolk developer who was trying unsuccessfully to prop up a faltering investment in which the bank had a financial stake. At one point, the matter appeared to have been settled through an administrative action in which the senior Holland agreed to reduce his role in the bank. But the FDIC later referred the case to federal prosecutors, who devoted four years and two grand juries to it and finally produced 31 felony charges against the Hollands, including bank fraud, making false statements to the FDIC and perjury. U.S. District Judge Henry C. Morgan Jr. heard the government's case in 1998 and promptly dismissed it, calling it utterly lacking in evidence. Mr. Holland was chairman of the board of Farmers Bank, which he joined in 1951. As a result, his interests in the legislature often focused on financial and business matters. His committee assignments reflected this. He had been chairman of the powerful Rules Committee and served on the budget-writing Finance Committee as well as the Labor and Commerce Committee. With a booming voice and a swinging gait, Mr. Holland was hard to miss at a political event, such as the Wakefield Shad Planking, a legendary get-together in a piney wood on the fringe of his district. This year's planking is set for Wednesday, the same day the General Assembly reconvenes for a day to consider overriding the governor's vetoes or amendments to bills passed during the 2000 session. Del. William K. Barlow, a Smithfield Democrat whose district overlapped Mr. Holland's, said the two used to ride together to various events, and he always found Mr. Holland a generous and caring colleague. small-town banker, and people usually come in and ask small- town bankers for advice on all sorts of things, financial and personal. And he gave people that kind of advice. He had a real concern for people and their lives." to call him a friend." A native of Windsor, Mr. Holland graduated from Windsor High School in the early 1940s. He was a graduate of the University of Virginia and attended the U.Va. School of Law. He graduated from the Stonier Graduate School of Banking at Rutgers University in the early 1960s. He also attended Virginia Military Institute and Harvard University. He served in the Navy during World War II in the South Pacific. His wife of 49 years, Jean Marks Culpepper Holland, died in August 1997. Survivors include a daughter, Shirley H. Wright of Chesapeake; two sons, Richard J. Holland Jr. of Windsor and Gregory F. Holland of Richmond; and two brothers, Dr. Clarence Holland of Virginia Beach and Dr. William E. Holland of Richmond. A funeral will be held Tuesday at 2 p.m. at Windsor High School. Burial will follow in Windsor Cemetery. Richard Joyner Holland, 74, died April 16, 2000. A native of Windsor, he was the son of the late Shirley T. and Gladyse Joyner Holland, and the widower of Jean Culpepper Holland. Mr. Holland was a me mber of Windsor Christian Church, graduate of Windsor High School, attended Virginia Military Institute and Harvard University. He was a graduate of the University of Virginia and attended the University of Virginia Law School. Mr. Holland was Chairman of the Board of Farmers Bank, Windsor, Va., and having joined the bank in 1951, he was elected President and CEO in 1967 and was elected Chairman in 1983. Graduates. He also currently served on the Board of Trustees of the Virginia War Memorial Foundation and Chairman for the Jamestown-Yorktown Foundation. Mr. Holland was elected to the Senate of Virginia in 1979 (15th Senatorial District), presently serving his 6th term. Survivors include a daughter and son-in-law, Shirley H. and Timothy S. Wright of Chesapeake; two sons and their wives, Richard J. Jr. and Cynthia B. Holland of Windsor and Gregory F. and Patricia D. Holland of Richmond; two brothers, Dr. Clarence A. Holland of Virginia Beach and Dr. William E. Holland of Richmond; 11 grandchildren; and two great-grandchildren. Obituary* 20 Sep 2004� Georgia Ann Culpepper Saunders, 79, of Chuckatuck, died Sept. 17, 2004. A native of Suffolk, she was the wife of Turpin Algernon (Al) Saunders Jr., and they were honored as the First Citizens of Suffolk in 1996. Mrs. Saunders graduated from Chuckatuck High School, 1942, attended Madison College and completed the Obici School of Nursing LPN program in 1973. She was a member of Oakland Christian Church and its Johnson-Newman Sunday School Class. She also belonged to the Village Garden Club, Junto Women's Club and Book Club. Over the years she had volunteered for the Red Cross, the Chuckatuck Library, Cub Scouts and Girl Scouts. She was preceded in death by her parents, J. Frank and Bessie M. Culpepper; brother, J. Rank Culpepper Jr. and sister, Jean C. Holland. Survivors include her children, Mary Elizabeth Williams and husband Jessie Williams, Ann Marks Saunders, Paul Saunders and wife Pam Saunders, and Doug Saunders, all of Suffolk, Kathy Jo Whitten and husband Fred Whitten of Richmond; grandchildren, Jesse A. and Georgiana Brooke Williams, James Saunders, Geoff, Katie and Jay Whitten; sister, Elizabeth C. Holland of Midlothian; brother and Sullie Culpepper of Salisbury, MD. Obituary of Georgia Ann Culpepper Saunders, published 20 Sep 2004. Obituary* 15 Apr 2017� Suffolk, VA-Benjamin Sullie Culpepper, 84, passed away on April 13, 2017. He was the son of the late James and Bessie Culpepper. Benjamin is predeceased by his brother Frank Culpepper and 2 sisters, George Anne Saunders and Jean Holland. He was a loving father and husband. Benjamin was also an avid hunter and fisherman; he was a member of Asbury Methodist Church in Salisbury, Maryland. Obituary of Benjamin Culpepper, published in The Daily Times on Apr. 15, 2017.
of three years. This regiment was consolidated with the 3rd and 31st Regiment MS Infantry about April 9, 1866 and formed the 3rd consolidated Regiment MS Infantry. capitulation entered into by the commanding General of the US and Confederate forces July 4, 1863. He died on 19 Mar 1913 in Sallis, Attala County, buried in Suggs Cemetery. 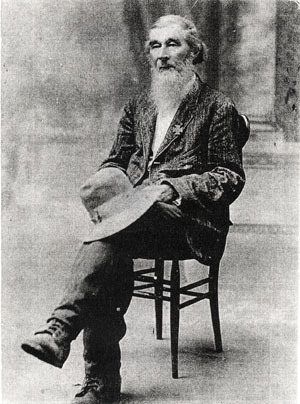 John Dew donated the land for the Stump Bridge Baptist church and cemetery. The 1892 church report showed S. E.White as a deceased member that year (John Dew's mother). E-mail written 2000 to Attala Co. MS GenConnect from Michael Rawlings. E-mail written 2000 to Lew Griffin from Kay Culpepper. E-mail written 1999-2007 to Lew Griffin and Warren Culpepper from Edward Hayden Culpepper (#28291), e-mail address. Donna Bartholow, compiler, e-mail address, Bartholow web site, Sep 2000. (URL has changed or vanished). E-mail written Oct 2000 to e-mail address from Bennie Gene Culpepper (#40364). + J. E. Culpepper, 14 Sep 1875 - 2 Jan 1919 (h/o Mary J. Dozier). Pike County Judge of Probate (transcribed by Lew Griffin), compiler, Pike Co., Alabama Marriages, Salt Lake City, UT: Genealogical Society of Utah, 1979, Repository: LDS Family History Library - Salt Lake City, Call No. Films 1033195-1033209. J. E. Culpepper married Mary J. Hickman on 22 Aug 1895 in Pike Co., AL. Leila Bell Culpepper, Dau, W, F, Feb 1897, 2, Sng, AL/AL/AL. Elbert Bryant Culpepper, Nov. 21, 1925 - June 24, 1974. W. Carroll Culpepper, Dec. 25, 1902 - July 14, 1961. J. E. Culpepper died 3 Jan 1919 in Bullock Co., Alabama. E-mail written Apr 2001 to e-mail address from Andrea Josephine Hickman-Figueroa. Carrol L. Culpepper, Daughter (sic), F, W, 17, sng, AL/AL/AL. Martha Ellen Matthews, His Wife, Oct. 21, 1851 - May 6, 1930. E-mail written 2003 to Lew Griffin from Debra Maddox Wilson, e-mail address. E-mail written 2001-2007 to Lew Griffin & Warren Culpepper from Earl James Culpepper (#41527), Nanaimo, BC, Canada, deceased. The Memorial commemorates nearly two thousand soldiers who served and died in India during the 1914-1918 War, who are buried in many civil and cantonment cemeteries in India and Pakistan where their graves can no longer be properly maintained. On the same memorial are commemorated 193 East and West African soldiers who served and died in non-operational zones in India in the 1939-1945 War, and whose graves either cannot be located or are so situated that maintenance is not possible. These stones bear the names of soldiers who served and died during the 1914-1918 War and lie buried in Ajmer-Merwara, Bombay, Central India, Central Provinces, Rajputana and Eastern Punjab. Here also are honoured soldiers from East and West Africa who gave their lives during the 1939-1945 war and rest in many parts of India and Pakistan. E-mail written 1999 to Lew Griffin from Donna Cawiezell. E-mail written 2000 - 2005 from Louis Reitzammer, Jackson, TN, e-mail address.